We are offering Hospital Accreditation – NABH Documentation Consultancy as well as selling Ready-to-use NABH Documentation Kit to such organizations for accurately assess their level of performance in relation to established standards and aiming to achieve hospital and healthcare accreditation effectively in quick time. We have developed total NABH document package for hospital accreditation that useful to multi specialty hospitals, small health care units, dental clinics, blood banks and medical imaging centres etc., in health care industries to meet accreditation board guidelines. 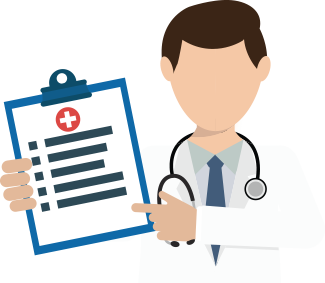 Our consultants are involved in providing NABH documentation consultancy to hospital and our documents with NABH manual, NABH procedures, NABH audit checklists etc., are best for organization in terms of the quality, cost and time incurred by hospitals and healthcare institutions. The hospital accreditation is done by assessors of NABH (national accreditation board of hospital). Sample NABH manual for the functional level requirements like Human resource, infection control, emergency preparedness etc. to meet the NABH standards requirements. Set of Standard blank forms and system formats to fill up records and learn system requirements. Hospital accreditation total NABH document kit is written in simple English and can be available to purchase in editable format, so it is very easy to edit content of NABH accreditation manual, procedures, NABH audit checklist, SOPs, formats etc. and upgrade them as per organizational requirements. Complete set of readymade NABH documents is designed by experience NABH consultants after detail study of NABH Standard requirements and more than 10 years of experience in the accreditation consultancy projects. It takes care for all the section and sub sections of global hospital accreditation standards. It will save 80% time in documentation preparation and helps to accelerate overall process of NABH certification. As reducing time of accreditation and manpower in the process, it reduces costs of certification. Easy to edit feature helps in making own hospital accreditation manual, procedures, policy and nabh audit checklist as per own organization requirements. The hospital working is same and why to spent to much money in calling consultant on site for preparing the documents. So the latest concept is to use ready made documents and implement the system.